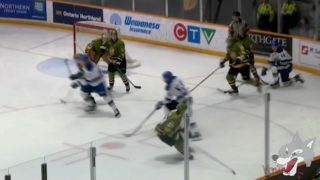 The Sudbury Wolves will kick off their three game home stand this Friday night when they host the London Knights and Mississauga Steelheads this weekend in double-header action. The Wolves will kick off the weekend on Friday night at 7:00pm when they welcome the London Knights to the Sudbury Community Arena for the one and only meeting in Greater Sudbury this season. 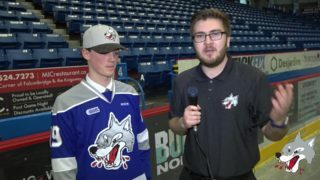 Wolves Hockey continues on Saturday night with the first Saturday night game this season when they host their divisional rivals, the Mississauga Steelheads at 7:00pm. The London Knights sit 5th in the Western Conference with 19 points and a record of 8-2-2-1. The Knights are led upfront by Buffalo Sabers 3rd round draft pick Cliff Pu and Anaheim Ducks 1st round selection Max Jones. Friday’s game is sponsored by CAA! Visit the CAA booth in the lower lobby to pick up your CAA Rally Towel. Three lucky fans will also have the chance to win $500 in CAA Bucks. Don’t miss the SPHL mini game in the second intermission. The Mississauga Steelheads currently sit 4th in the Central Division with a record of 5-6-2-1. The Steelheads are led upfront by sophomore Owen Tippett who leads the league in goals with 13. He also leads the Steelheads offensively with 18 points in 14 games. 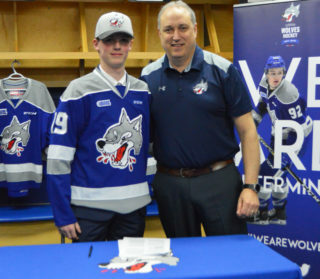 The Wolves will also have to look out for New Jersey Devils prospect Nathan Bastian who sits second in team scoring with 14 points in 11 games. Saturday’s game is sponsored by Goodlife. Visit their tables in the lower lobby and on the upper concourse behind section 2 for the chance to pick up swag! Be a part of the New Era and come join the fun! 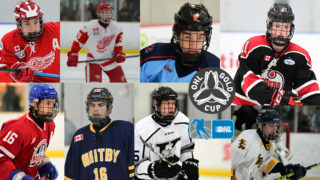 Tickets are on-sale now at the Sudbury Arena Box Office or online at greatersudbury.ca/tickets. 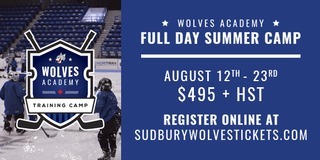 For Group Sales discounts and special programs call the Wolves Office at 705 675 3941. 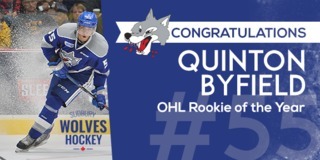 Stay up to date with Wolves and your favourite players by downloading the new Sudbury Wolves App available in the App Stores for iPhone or Android.